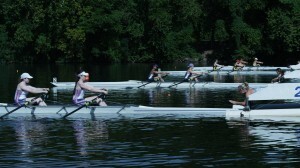 The female rowing team compete in “Backwards.” ©Phase 4 Films. He returns to high school in the heartwarming drama “Backwards,” now available on home video. 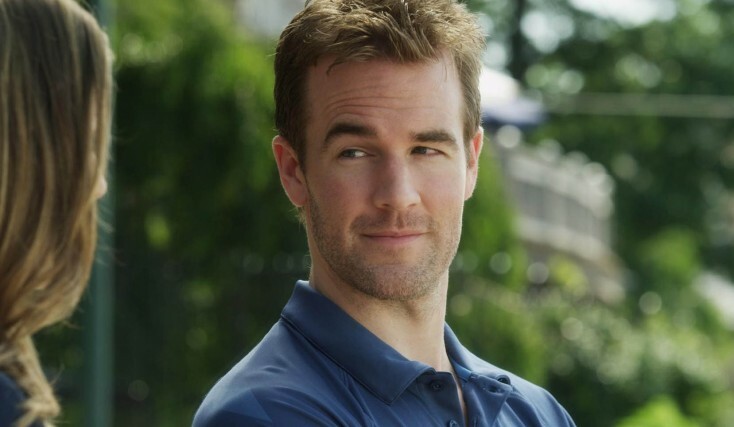 Only this time, he plays Geoff, an athletic director, who rekindles a relationship with a former classmate, who has returned to the school to coach the girls rowing team after failing to achieve her goal of competing on the U.S. team at the Olympics. Twice. The handsome actor co-stars opposite Sarah Megan Thomas, who also wrote the screenplay. As Abi, Thomas is a fiercely competitive rower who pushes her young students to the brink before learning from Geoff to ease up and enjoy the sport. Only then can they succeed. Directed by Ben Hickernell, who previously helmed the indie “Lebanon, Pa.,” “Backwards” offers an intimate look at the personal sacrifices and complex choices facing competitive Olympic hopefuls. It also is a drama about dreams —young athletes pursuing their dreams and about the adults who guide them, often after having to modify their own ambitions.